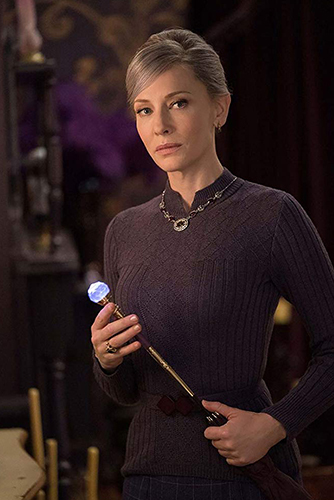 Joyce Glasser reviews The House with a Clock in its Walls (September 21, 2018), Cert. 12A, 104 min. Eli Roth is an actor and director best known for his horror and comedy/horror films, from his debut calling card feature, Cabin Fever to Hostel and Hostel II. Perhaps the most horrific of them all was his most recent: a reactionary and unwarranted remake of Michael Winner’s Death Wish. 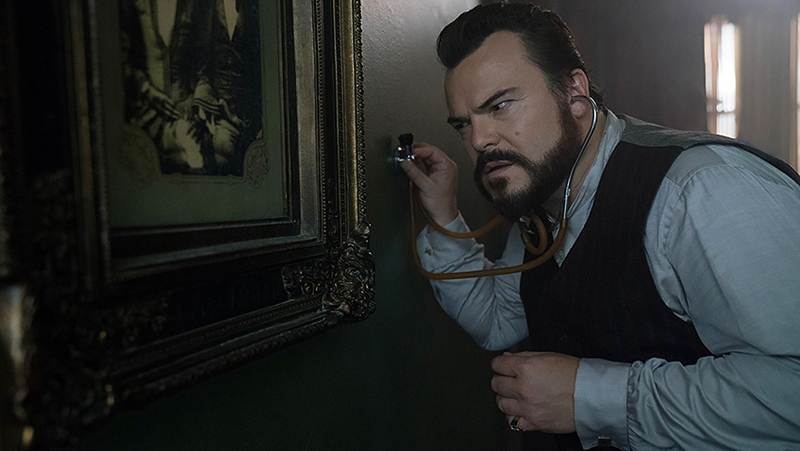 The House with a Clock in Its Walls is a slightly new departure, being a fantasy/horror/comedy for children adapted from John Bellairs’ 1973 novel by producer/scriptwriter Eric Kripke. 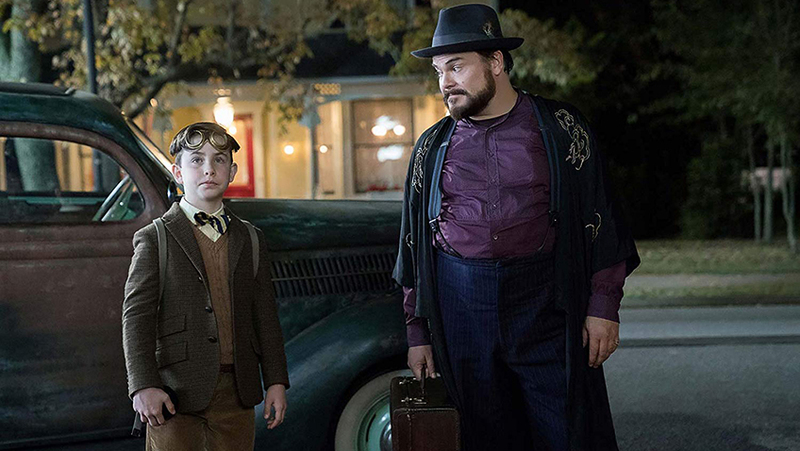 Children might enjoy the pre-Potter magic, the haunted house, and a satisfying coming-of-age story, while adults might be drawn to the 1955 setting and the mega-talented, but unlikely combination of Jack Black and Cate Blanchett. It is the adults who will be the most disappointed. 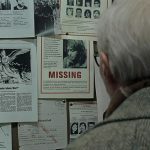 In 1973 when the novel was written, a film version of The House with a Clock in Its Walls would have stood out amidst the prevailing mood, the big titles being The Exorcist, Mean Streets, Serpico, Don’t Look Now, The Wicker Man, Badlands and Papillon. 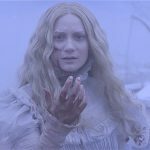 The film stands out today for its superficial resemblance to many other gothic-horror-light films and to the Harry Potter series , even if Bellairs’ novel predated the first Harry Potter by years. 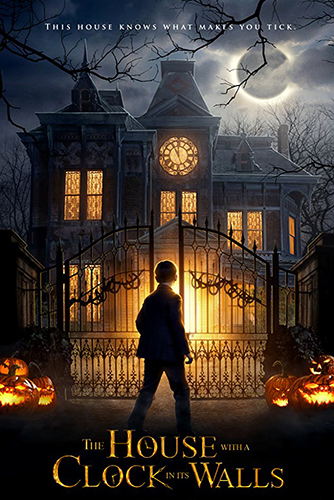 In The House with a Clock in its Walls a ten-year-old boy named Lewis Barnavelt (Owen Vaccaro) – Daniel Radcliffe was eleven in the first Harry Potter- is orphaned (as is Potter) when his parents die in a car crash He is sent away to live with his closest, but estranged relative, Uncle Jonathan (Black) where he has the opportunity to learn magic. At this point the only difference between Harry Potter and the Philosopher’s Stone and Roth’s film is that here, it is the relative, Uncle Jonathan, who can teach Lewis magic. He goes to school for normalcy. Jonathan is a second-rate warlock and his platonic friend, with whom he shares his creaky Victorian pile is Florence Zimmerman (Blanchett). Florence was a super talented witch until the death of her husband and child took the zest out of the magic. Florence advises Lewis in a motherly tone that it’s not just the words in the spell, but how you say them that determines your success as a magician. You have to believe. This comes in handy later on in the film when Lewis is the only one of the three who can save the world from annihilation-by-clock. But it’s a bit of a cop out because Potter wasn’t sent to Hogwarts for nothing; and even performing magic on stage takes a lot of preparation and training. Just when Lewis needs a stable routine, he finds himself adrift in a totally unpredictable and unstructured lifestyle where it’s hard to get a good night’s sleep. Lewis is continually awoken by strange noises, most frequently, his uncle making a racket searching for a man named Isaac’s clock. ‘There are no rules,’ Jonathan proclaims as he serves Florence’s homemade cookies for dinner (and again for breakfast). Well, there is one rule, and it’s no spoiler to reveal that, under peer pressure, Lewis disobeys at great cost. Lewis, who is bullied in school for being an outsider, a nerd (his luggage comprises various dictionaries) and for wearing a silly pair of pilot goggles, is happier with his Uncle Jonathan, despite his limitations. But when Lewis’s beloved, but creepy mother (Lorenza Izzo) pays him a visit in a dream, he thinks he has found a way to impress the most popular boy at school, the pitiless Tarby Corrigan (Sunny Suljic, charismatic), and earn his friendship. The house has quite a history, having belonged to Isaac Izard (Kyle MacLachlan) and Selena (Renée Elise Goldsberry), his wife. Isaac is buried in the local cemetery while Selena has disappeared, and is presumed dead. While alive, this dark couple built a giant clock that has the power to pull the universe into a magical alignment that would enable Isaac to send everyone back to childhood – and before, thereby depleting the population. Jonathan’s partnership-turned-sour relationship with Isaac and the reason he moved into the house are revealed in good time, but the house is the focus of the film in the same way as a cabin in the woods is focus of any horror/slasher film. 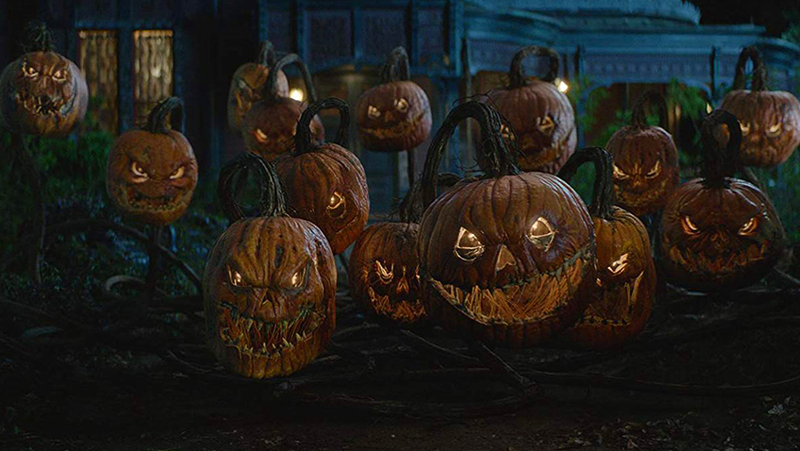 This house is what you’d expect from a gothic fantasy, reminiscent of the 1959 Vincent Price movie, House on Haunted Hill; Tim Burton’s period film, Dark Shadows or Guillermo del Toro’s period film Crimson Peak, but a bit more like a sinister Charlie and the Chocolate Factory than the house with the missing roof in Crimson Peak. We have seen the moving stained glass windows before and an animated armchair, though perhaps not a topiary mastiff in the garden that comes alive to defecate in the garden pond. And then there’s Isaac’s curse: the disturbing sound of a clock buried in the wall that Jonathan tries to cover by filling the rest of the house with other clocks. And last but not least is a forbidden book with a spell for bringing back the dead that is locked away in a cupboard that Lewis must swear never to touch. All the elements are here, but oddly for a Jack Black film, there’s no humour. And there is no chemistry between the three leads that would encourage us to believe in them as a family unit. Owen Vaccaro (Daddy’s Home) is cute, but a bit annoying and his performance never really pulls at the heart strings. There is no chemistry between Black and Blanchett and it would take a magic potion stronger than in Tristan und Isolde to imagine them as a couple. There a few scary moments when the three are under siege from the furnishings and ornaments and when two mysterious women reappear toward the end, but the clock story itself is unconvincing and the ending is a cop out. 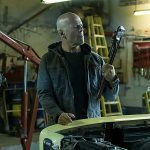 Eli Roth remakes Michael Winner’s vigilante gun fest: but why?